For most of us, clicking like on social media has become fairly routine. For a Marine, clicking like from the battlefield lets his social network know hes alive. This is the first time in the history of modern warfare that US troops have direct, instantaneous connection to civilian life back home. Lisa Ellen Silvestris Friended at the Front documents the revolutionary change in the way we communicate across fronts. 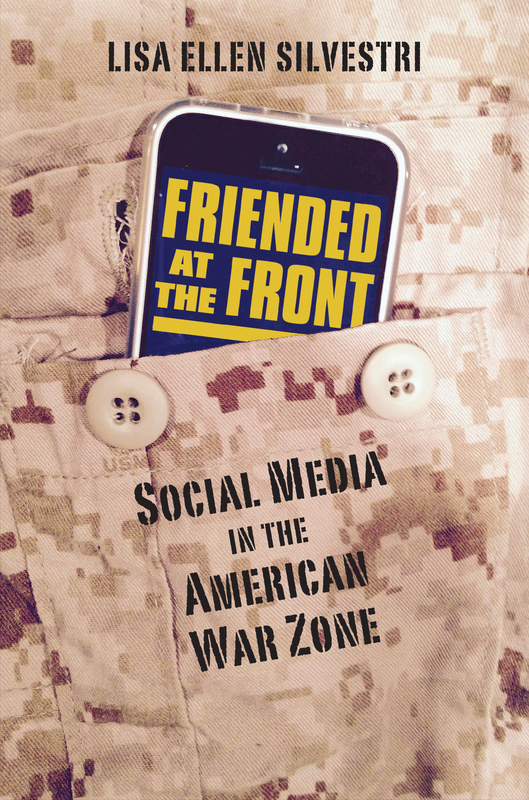 Social media, Silvestri contends, changes what it's like to be at war. Based on in-person interviews and online fieldwork with US Marines, Friended at the Front explores the new media habits, attitudes, and behaviors of troops on the ground in Iraq and Afghanistan, and some of the complications that emerge in their wake. The book pays particular attention to the way US troops use Facebook and YouTube to narrate their experiences to civilian network members, to each other, and, not least of all, to themselves. After she reviews evolving military guidelines for social media engagement, Silvestri explores specific practices amongst active duty Marines such as posting photos and producing memes. Her interviews, observations, and research reveal how social network sites present both an opportunity to connect with civilians back home, as well as an obligation to do so—one that can become controversial for troops in a war zone. Much like the war on terror itself, the boundaries, expectations, and dangers associated with social media are amorphous and under constant negotiation. Friended at the Front explains how our communication landscape changes what it is like to go to war for individual service members, their loved ones, and for the American public at large. Lisa Ellen Silvestri is assistant professor of communication studies at Gonzaga University.